Camping has got a glamorous upgrade and is now referred to as Glamping. 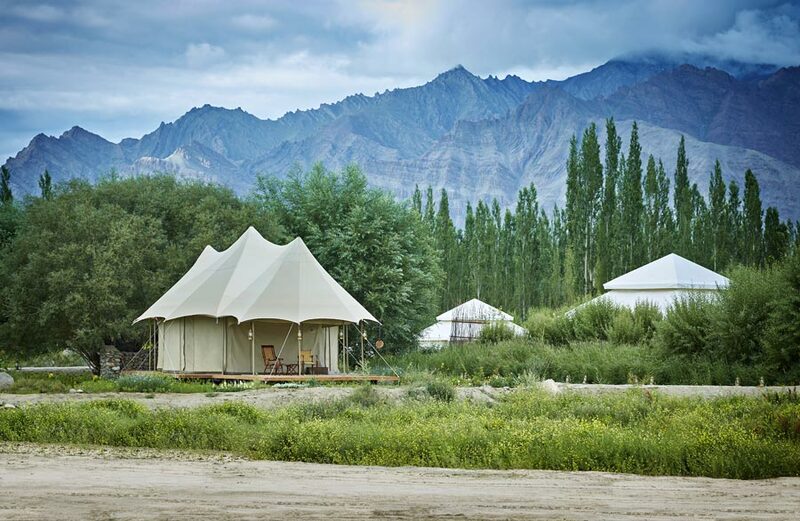 There are various luxury camps all over India covering various destinations and festivals. These super luxury camps introduce the millenial traveller to exceptional locations in the mountains, deserts and jungles. 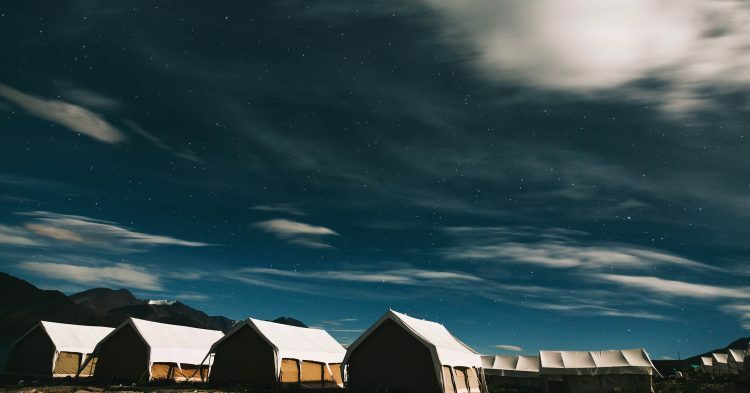 The Chamba Camp at Thiksey creates once in a lifetime experiences – watch a game of polo, a sport of the Royals of Ladakh, raft down the River Indus, enjoy picnic lunches amidst the most picturesque spots with unforgettable views and much much more. The picturesque state of Nagaland is bound by Assam in the west; Myanmar in the east; Arunachal Pradesh in the north and Manipur in the south, forming a part of what are known as the Seven Sisters, the seven states of north-east India, full of rolling hills and verdant rain forests. They have retained much of their traditional and cultural heritage and make an excellent glamp site. Ranthambore has plently options like Oberoi, Aman I Khas and Sher Bagh. Raised on concrete plinths, the air-conditioned tents echo Mughal pavilions with cotton drapes separating sleeping, dressing and bathing sections nestling on the borders of Ranthambhore National Park. 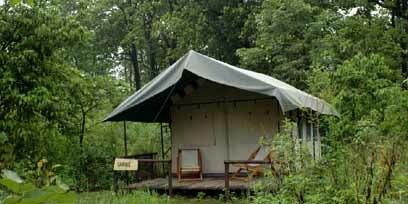 Camp Forktail Creek in Jim Corbett has 12 luxury safari styled tents. 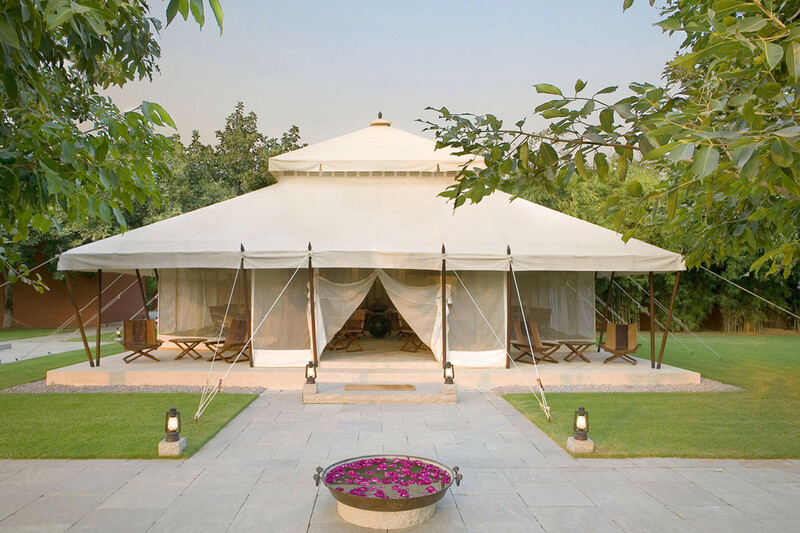 The tents are raised on wooded platforms with a private sundeck to each one. The Thatch, is the dining and lounge area built out of grass and wood locally. Around the thatch is the Campfire pit and barbecue area, which provide for campfires and barbecues after sundown. The site is at the foothills of the Vythiri ranges with the majestic Chembra peak to the left and the Banasura/Kuruchermala to the right. 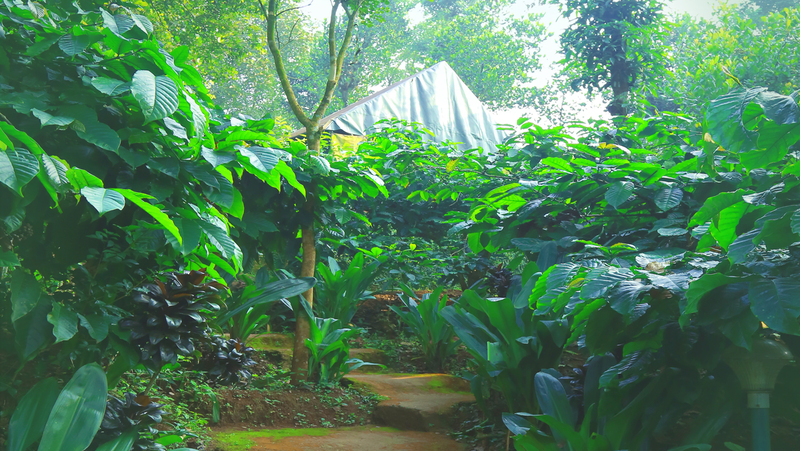 Grassroots is set on a coffee property that overlooks a tea plantation. 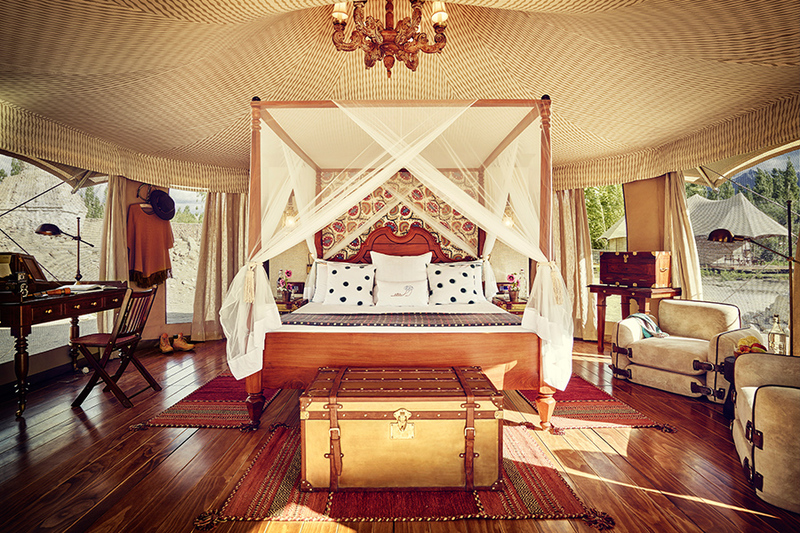 Luxury Swiss tents, spacious and plush with every amenity that the discerning traveler would want. Air conditioning, hot water along with soft, comfy and clean furnishing. 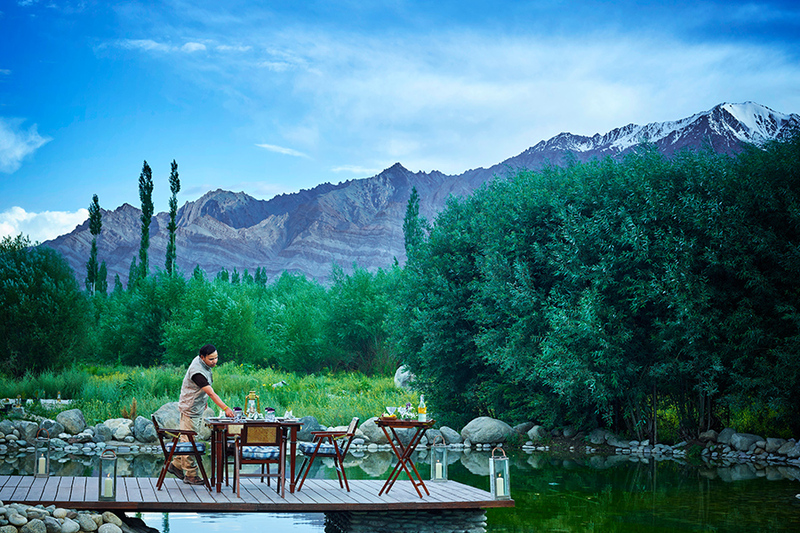 Every aspect towards detail has been looked into carefully to ensure the traveler feels pampered and rejuvenated in this mountain town with its fresh, crisp and healthy air. Cradled by jagged mountains on the northern route from the Leh Valley, meet two ancient rivers – Nubra and Shyok. They form the enchanting Nubra Valley – an oasis of forgotten tales of merchants, mercenaries and monks who trudged these high-altitudes trans-Himalayan sand dunes in search of gold, glory and God. Continuing the expedition through dramatic landscapes of enormous glaciated peaks and arid thoroughfares, reach the tranquil yet thriving village of Diskit. Untouched by the mainstream mayhem, the village has beautifully preserved its sanctity despite being the commercial hub of Nubra. The safari lodges are a perfect blend of luxury and wilderness. You get to rub shoulders with the wildlife of Kanha National Park. You can choose from 3 types of accommodation where all the tents give you a feeling of living in harmony with the forest. Our favourite weekend get away is not just about beaches. Goa has different dimensions of accommodations and semi luxury tents is one of them. I read your article and it is very amazing and informative. Thank you for share this type of article with us. You also get all updates regarding Rajasthan Tourism, Tourist places in Rajasthan, Best Sightseeing Places in Rajasthan, Things to Do In Rajasthan from our website Rajasthan City Day Tour.